While you’re keeping up with the hustle and bustle of everyday life, your HVAC system is working hard to make your home a more comfortable place. In the dog days of summer, you can trust your air conditioner to keep your home in Santa Clara cool. On those frosty mornings in the fall and winter, your heating system takes the edge off the biting cold. We often take our HVAC systems for granted until they suddenly encounter a problem. 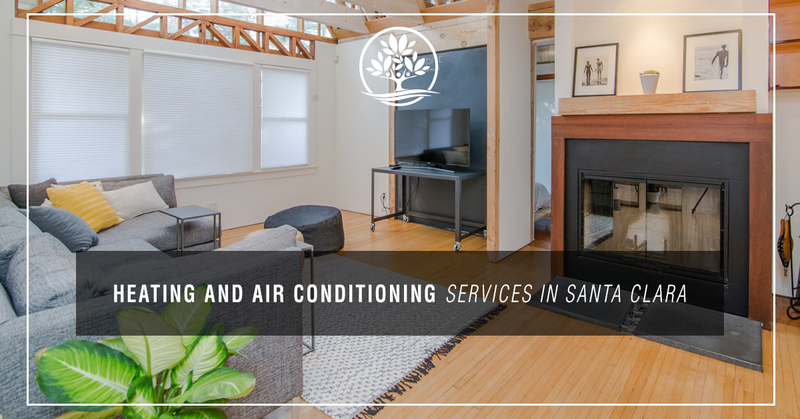 When you’re in need of HVAC services in Santa Clara, the smart choice is to call the experts at Legacy Services Air Conditioning and Heating. While we can attribute our status as a Top Rated Local® HVAC service in Santa Clara to a lot of things, the foundation of our reputation is no doubt built on the variety and quality of HVAC services we offer. We can address any HVAC issue you might be experiencing, no matter the time of the day. Every HVAC system, be it an AC unit or a heat pump, will run into some kind of issue at some point. When your HVAC system fails, you need a repair service that won’t. With expert training and an eye for detail, all of our HVAC technicians can carefully inspect your HVAC system and diagnose any problems it may have. If your unit can be repaired, they’ll take care of it quickly and efficiently. If you’re in need of a new unit entirely, we’ll help you pick the right one. In either case, we’ll explain what the issue is, your options for getting it repaired or replaced, and then help you choose. We want to empower you to make smart decisions when it comes to maintaining your HVAC systems. The quality of the air in your home doesn’t necessarily match its level of cleanliness. Modern homes are made to keep harmful substances from the outside from sneaking inside. Conversely, homes are sealed so well that they often do not let harmful substances, particles, and chemicals out, trapping them inside and impacting our quality of air. If you want to rid your home of things like molds, mildew, and germs, it’s time to get your indoor air quality tested. We use EPA approved ultraviolet lights, medical grade air purifiers, HEPA media filters, and ERV fresh air systems to help you clear the air in your home, letting you breathe easy. If you’re looking to save money on getting your HVAC system repaired or replaced, you might first run a quick Google search for something like “air conditioning service near me.” Sure, you can scroll through page after page of results to find a winning service, or you can save yourself the hassle and call Legacy Services right away. We strive to make our HVAC services accessible to everyone by making our prices affordable through financing options and regular specials. Keep your home comfortable year round shouldn’t come at the cost of ruining your finances. That’s we work hard to make our services and new HVAC systems cost effective with our financing options. We offer rates that are highly competitive, including financings rates like 0 percent APR for up to five years. We’ll work with you to find a financing option that works with your budget and your needs. We run regular specials on a wide variety of our services. With the specials that Legacy Services runs, you can get great pricing and great service. Check our specials page throughout the year to see how you can save money. Here at Legacy Services, we distinguish ourselves from other HVAC companies in Santa Clara by sticking to our core values of integrity, honor, service, and reliability. These values have made us Santa Clara’s premier HVAC service for more than 30 years. As a licensed and insured HVAC service, we can confidently offer a 100 percent guarantee on our work. We’ll never use pushy sales tactics and are happy to offer you a free quote or estimate. Need a second opinion on some HVAC-related work? We can do that too! We serve Santa Clara any time of the day thanks to our 24-hour service calls. Connect with our specialists today to schedule your next HVAC maintenance or appointment.